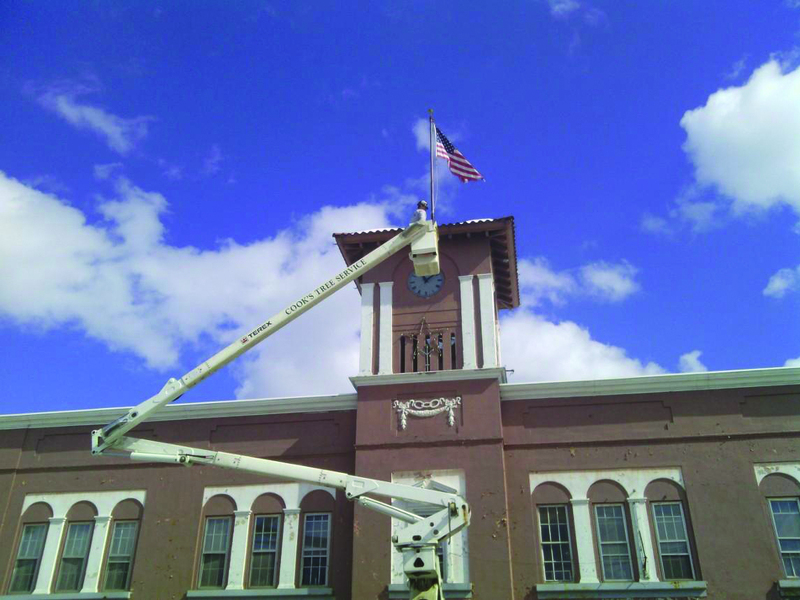 On Friday March 22, Q-Team Tree Service of Naples (also DBA Cook's Tree Service) under the direction of Robert Fogg raised the flag over the “Block”, a historic building in the center of Harrison. Twice a year Q-Team Tree Service volunteers to put up and take down the flag. “It’s a right of spring,” said Fogg. Darren Cole, in the bucket, attaches the flag to the flag pole. Q-Team is gearing up for a busy season of doing tree work around the Sebago Lake Region and the Oxford Hills area. “We’ll start in earnest in April,” Fogg added.